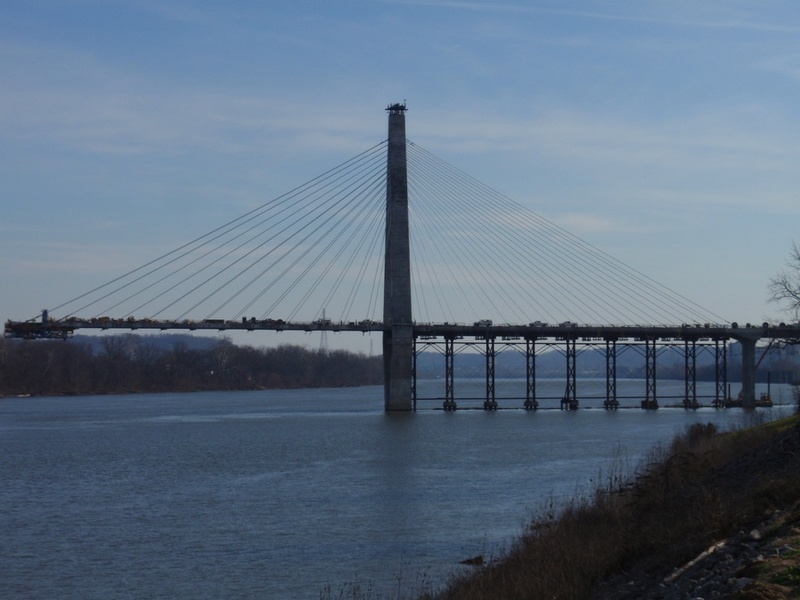 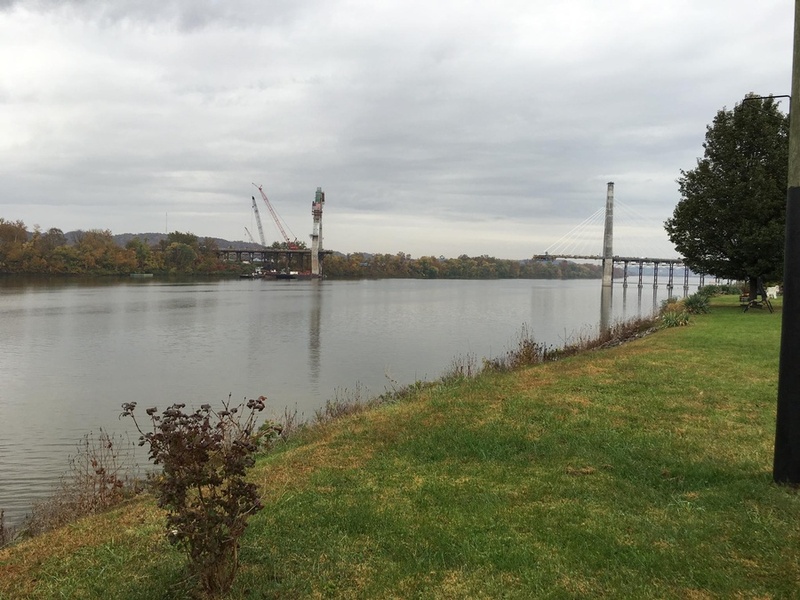 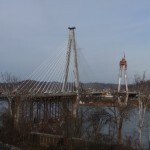 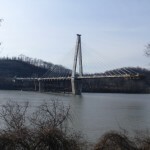 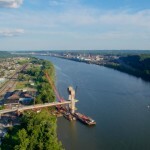 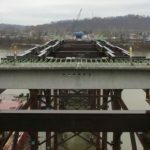 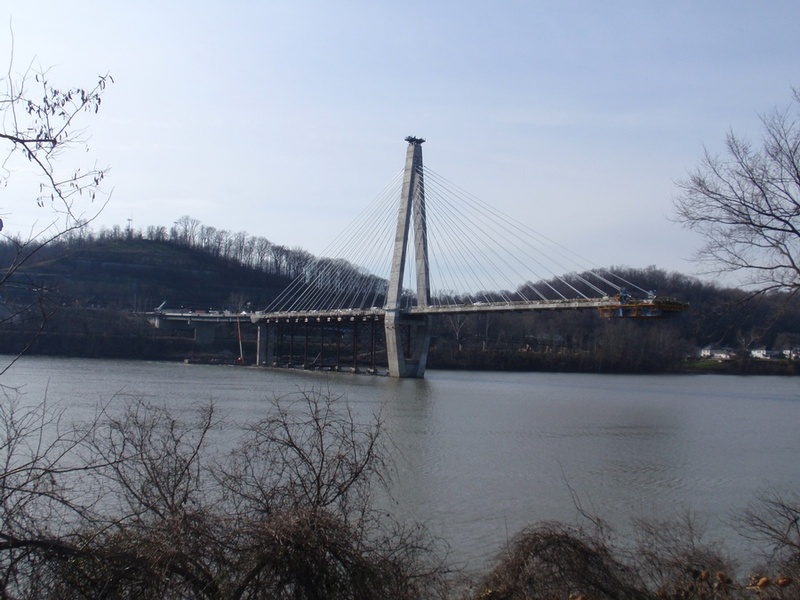 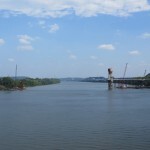 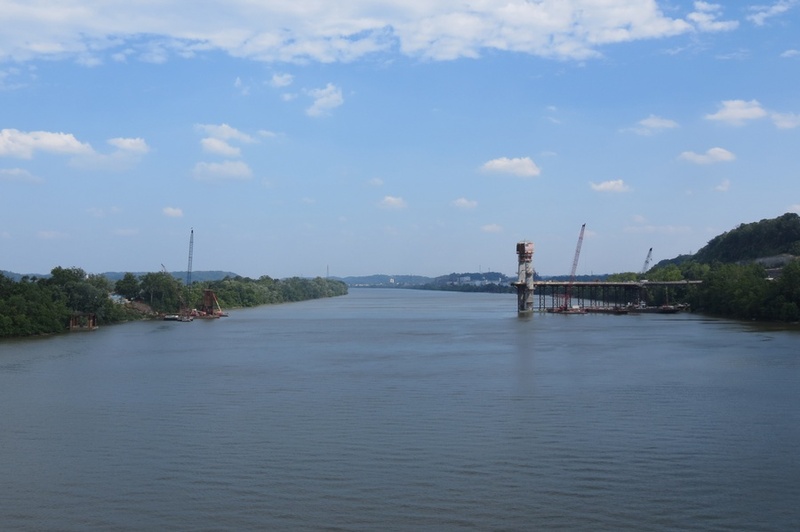 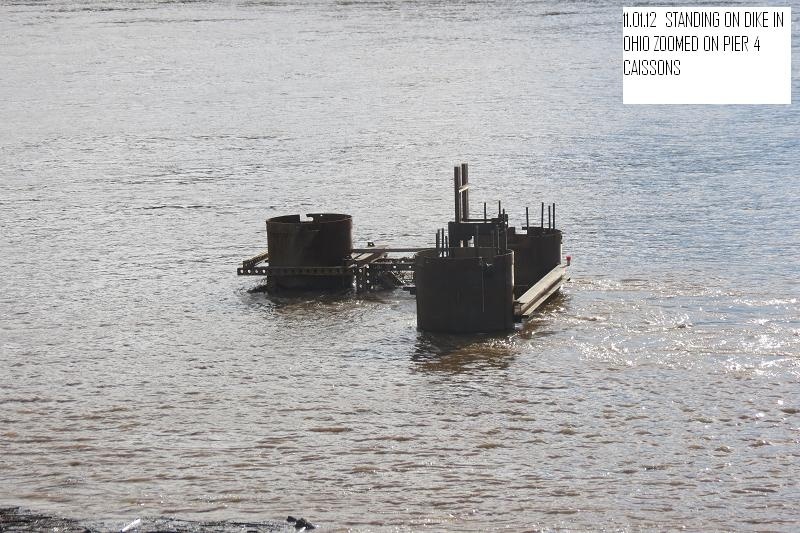 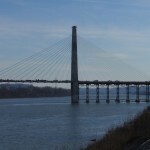 The Ironton-Russell Bridge opened in 1922 as the first highway bridge along the Ohio River between Parkersburg and Cincinnati. 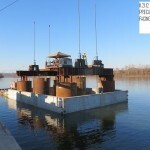 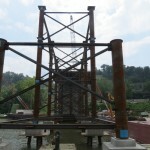 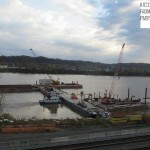 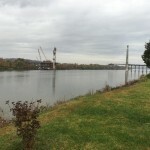 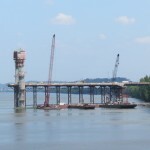 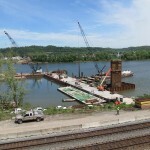 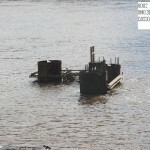 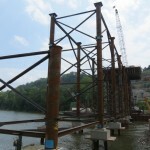 The existing bridge exceeded its useful life span and thus needed to be replaced. 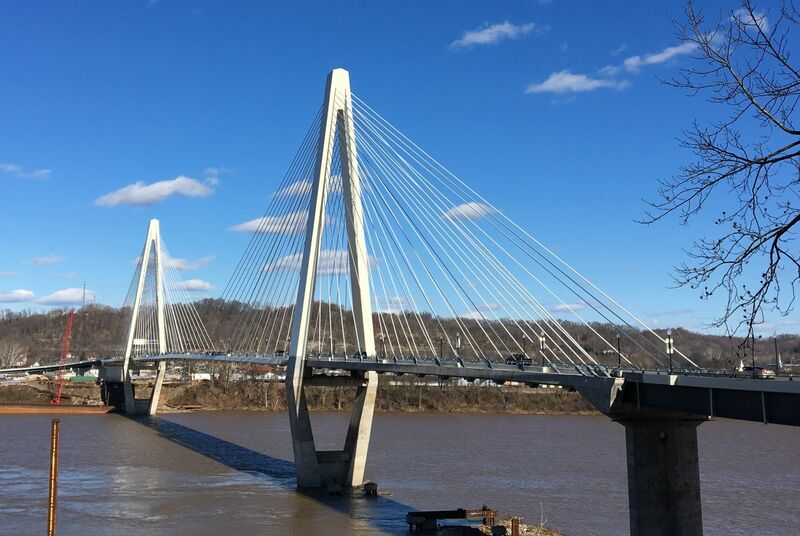 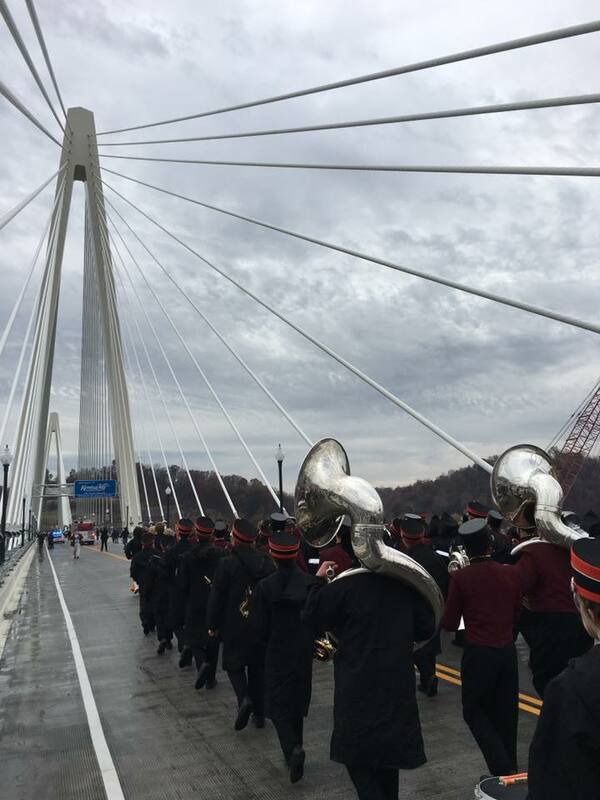 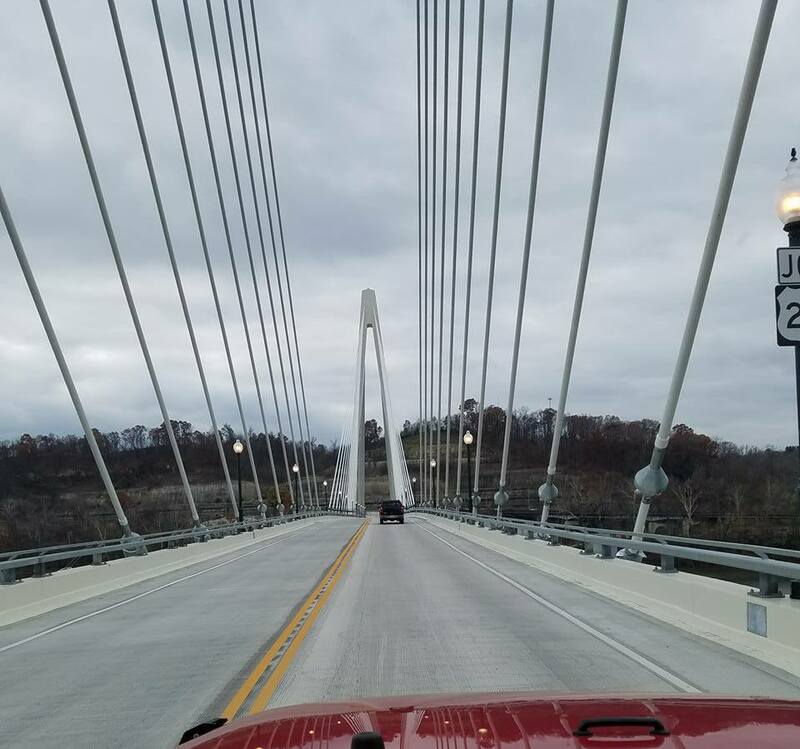 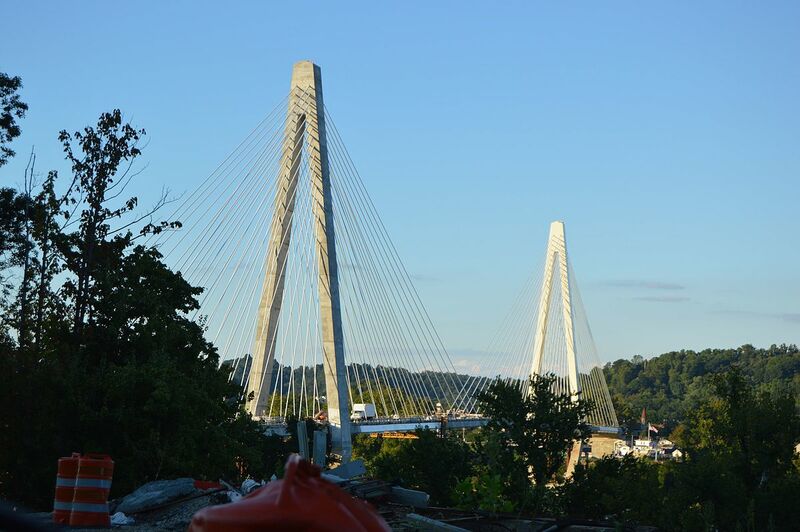 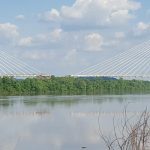 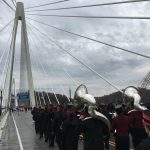 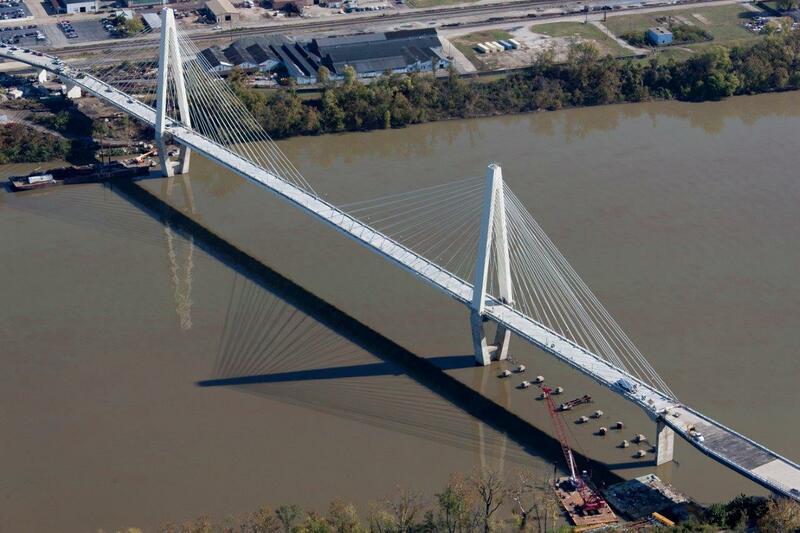 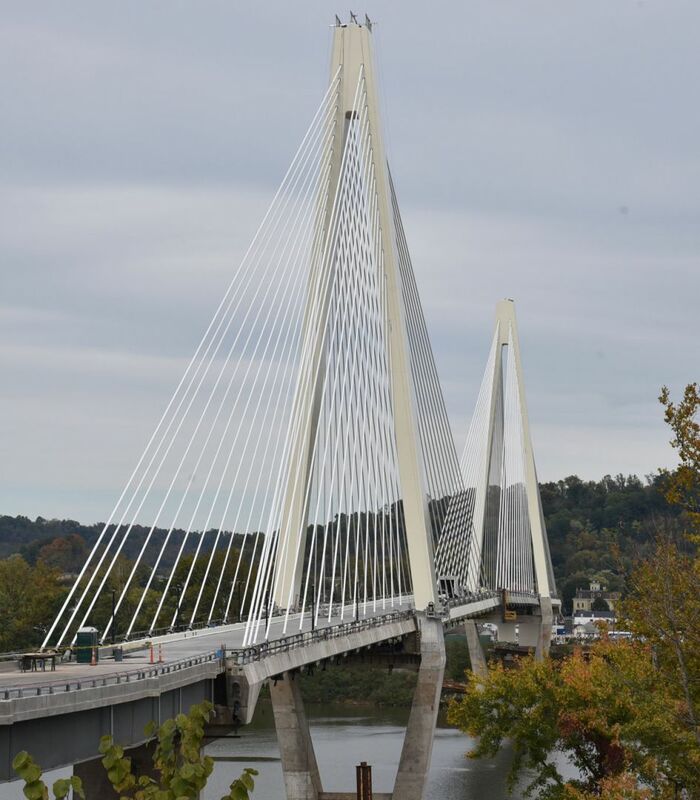 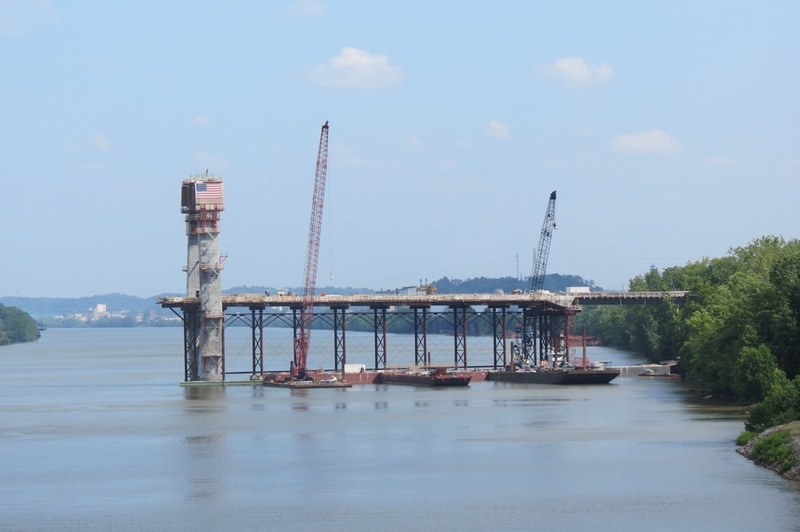 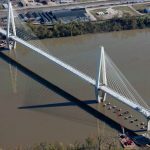 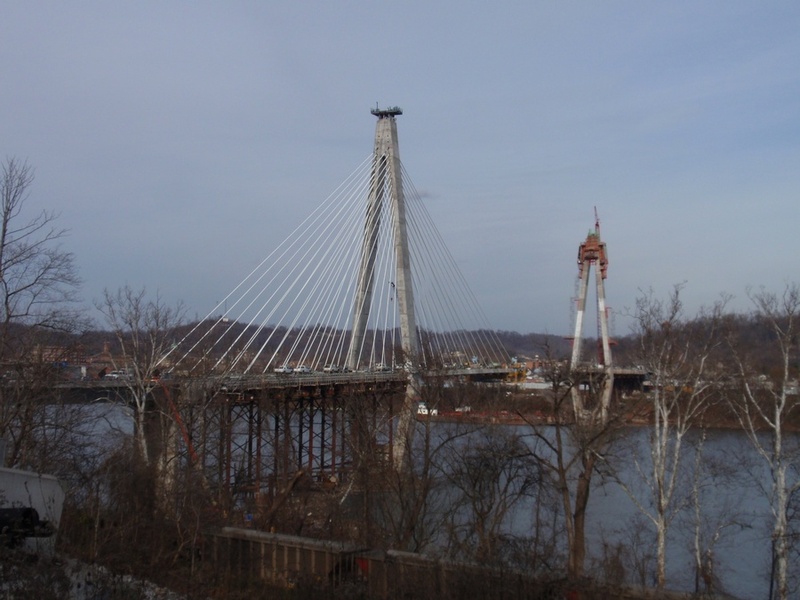 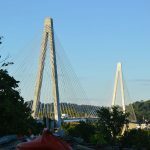 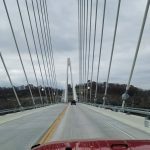 The new 2,616 ft.-long Oakley C. Collins Memorial Bridge is comprised of a 900 ft. cable-stayed main span and two 370 ft. cable-stayed side spans, two 326 ft. tall towers, and two anchor piers on the river’s edge. 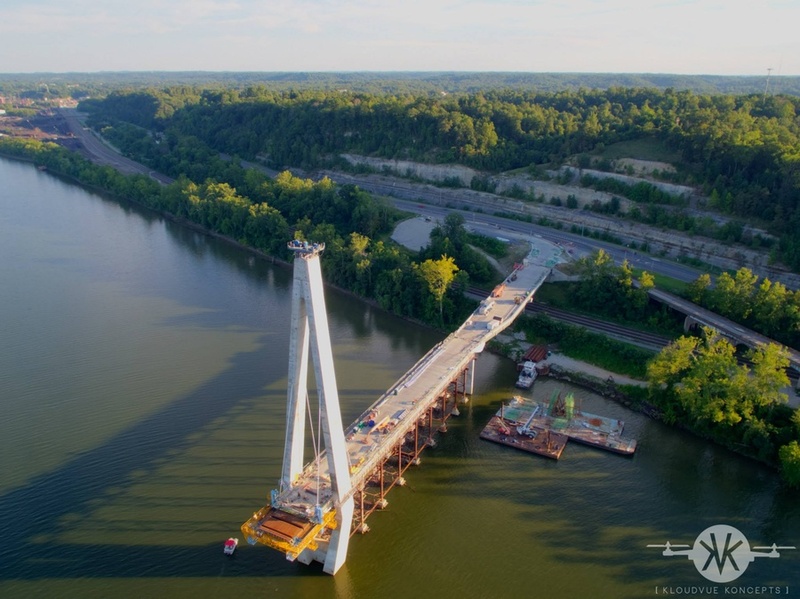 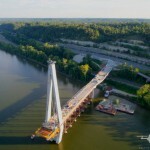 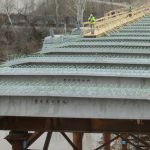 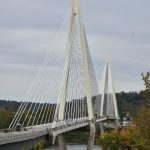 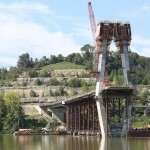 The structure is cast-in-place with 22,500 cy of reinforced concrete (5.8 million pounds of rebar), utilizing the cable stays to construct the bridge with the one-directional cantilever method. 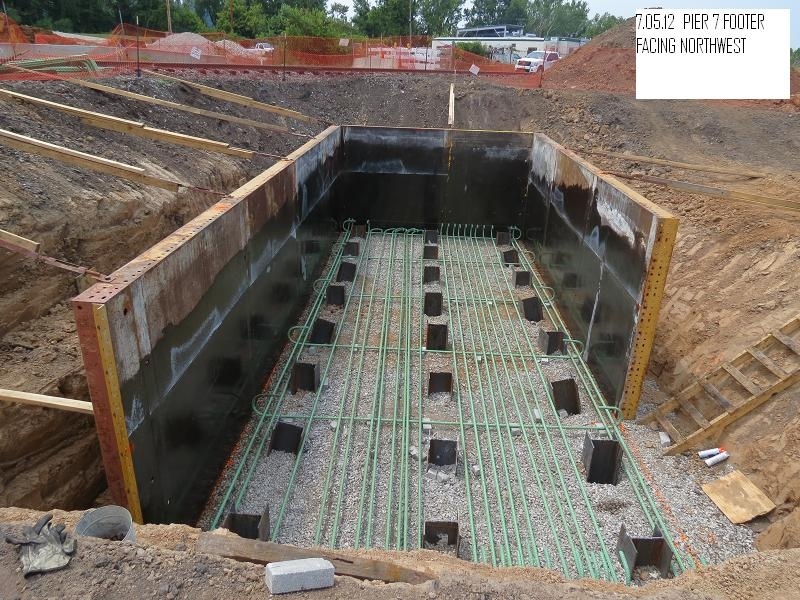 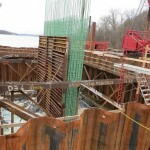 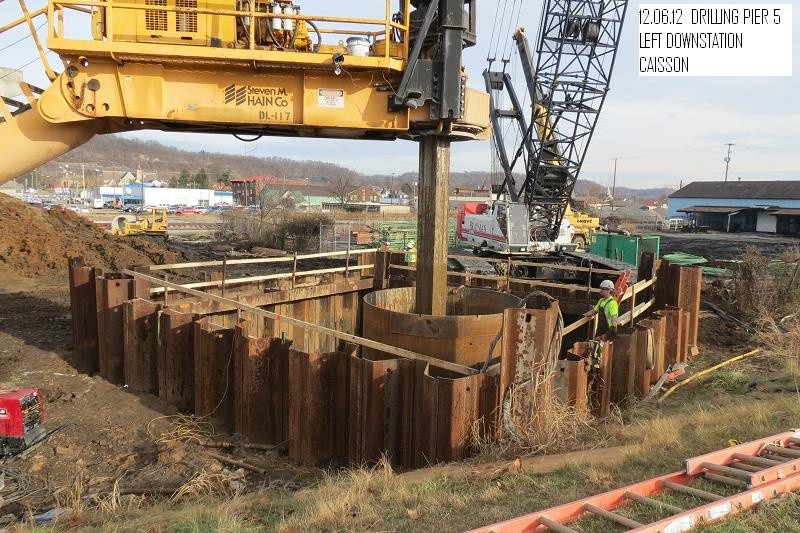 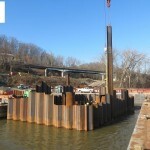 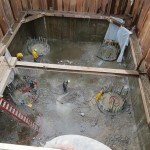 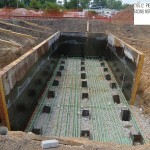 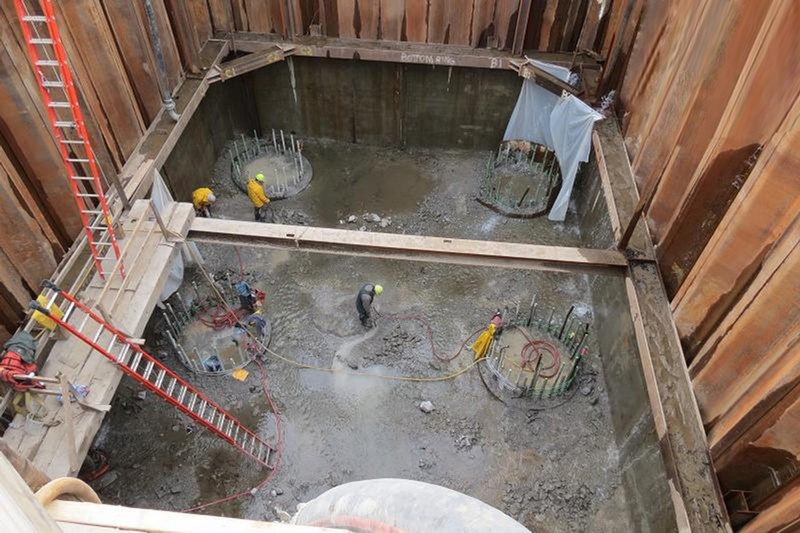 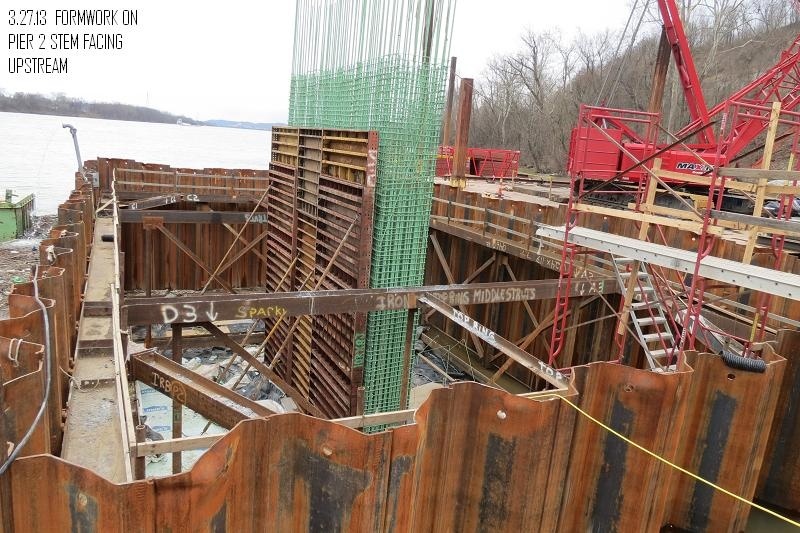 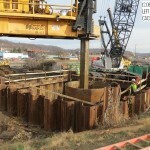 Foundation units consist of 22 large-diameter drilled shafts, measuring 96 inches. 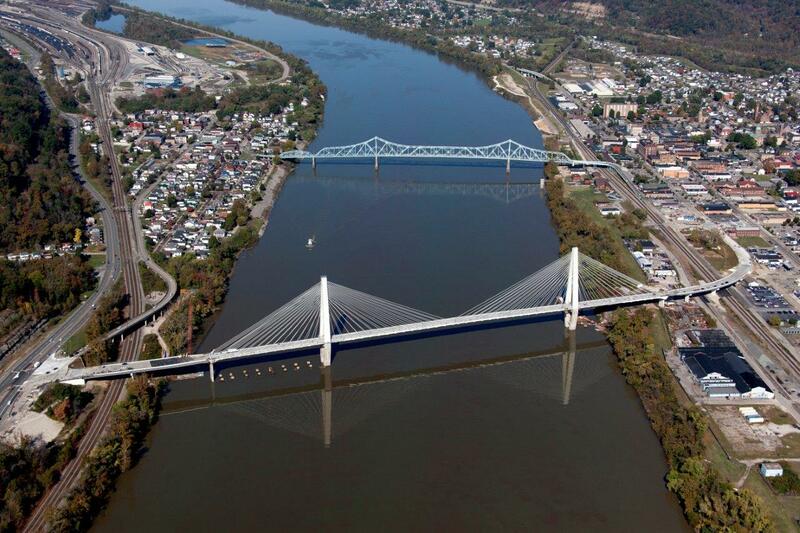 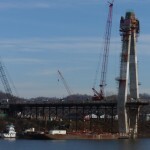 The 900 ft. main span is the longest span the Ohio Department of Transportation has ever built. 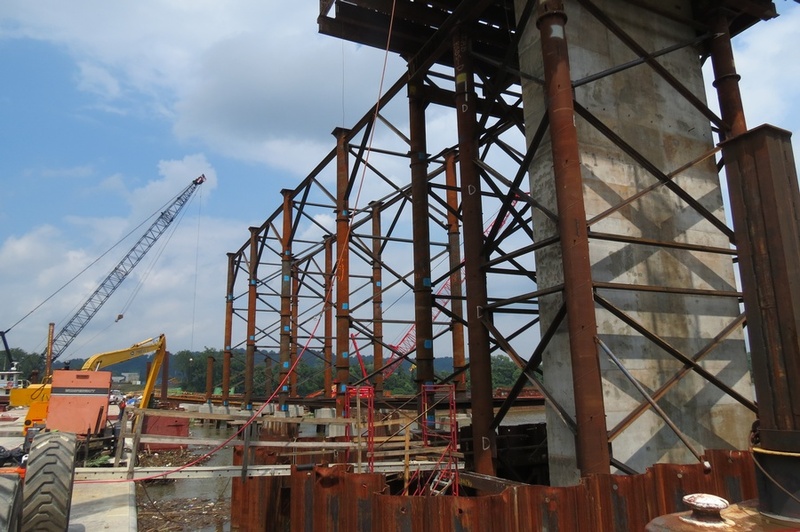 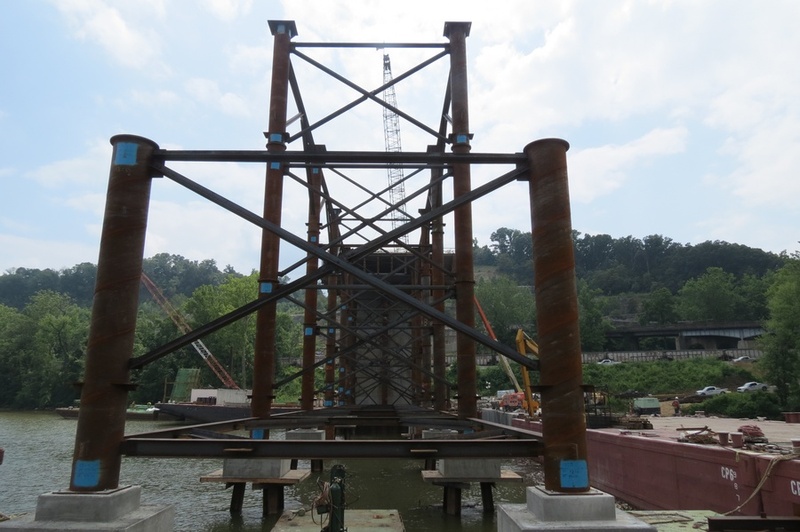 FINLEY provided pre-bid value engineering services which included the development of a construction sequence that cast the back spans on falsework. 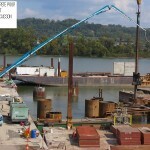 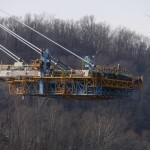 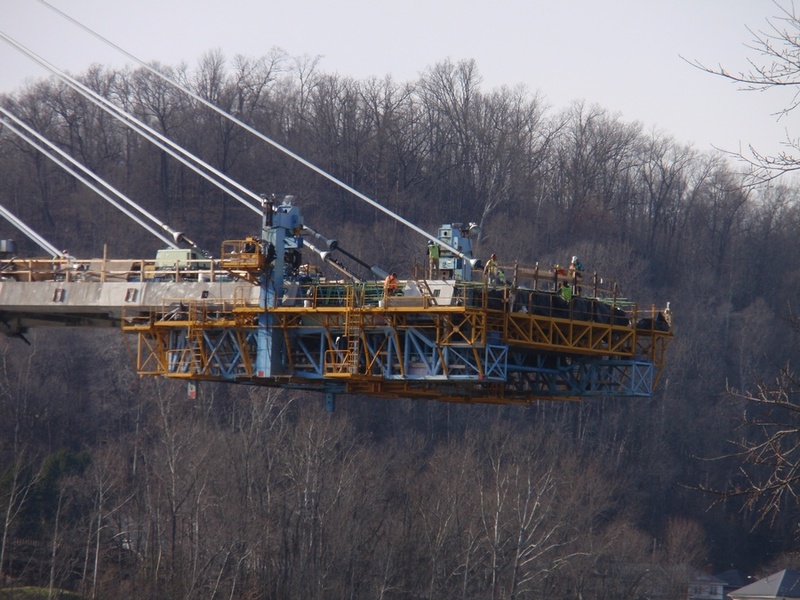 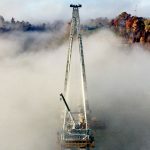 This sequence resulted in a savings of time, simplified construction, and reduced the equipment required for the cable-stayed portion of the project. 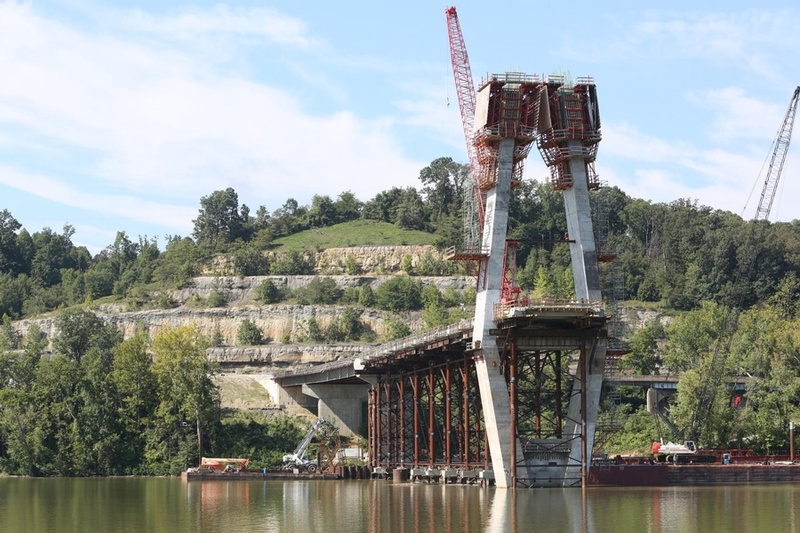 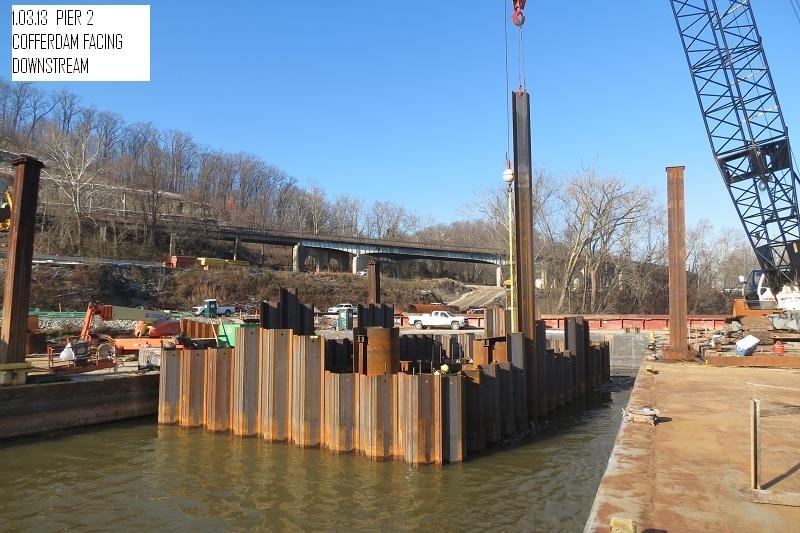 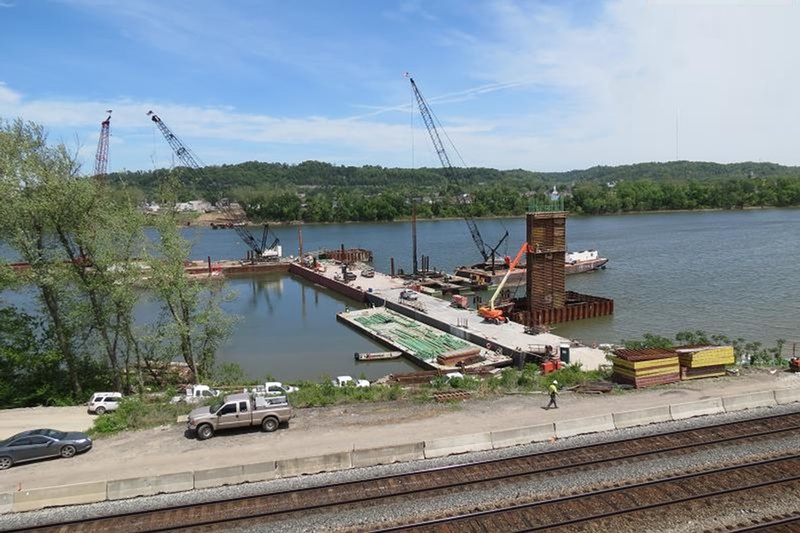 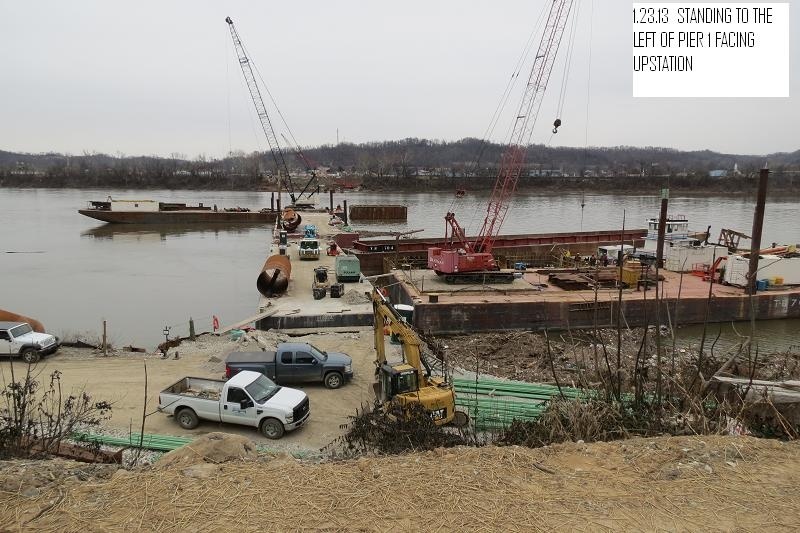 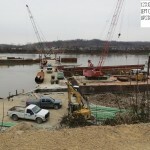 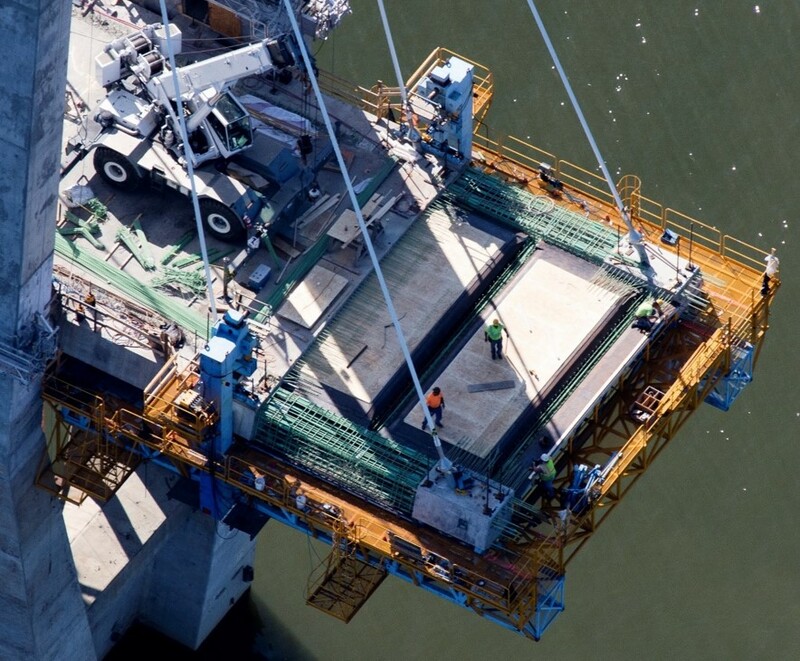 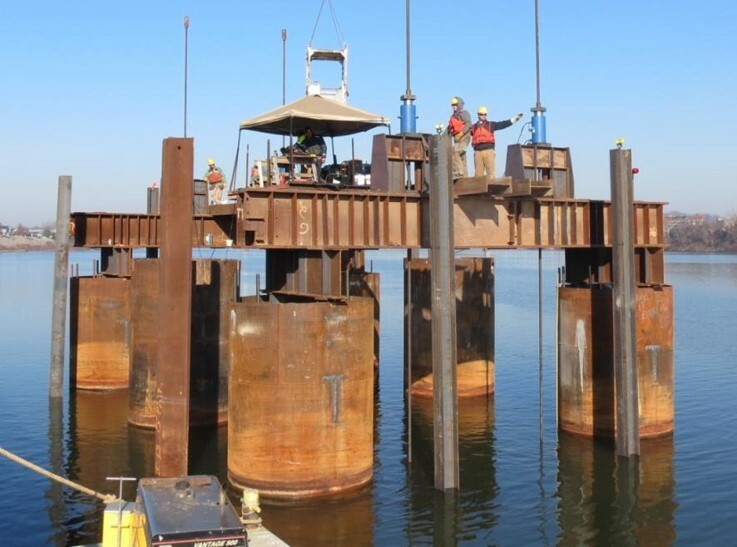 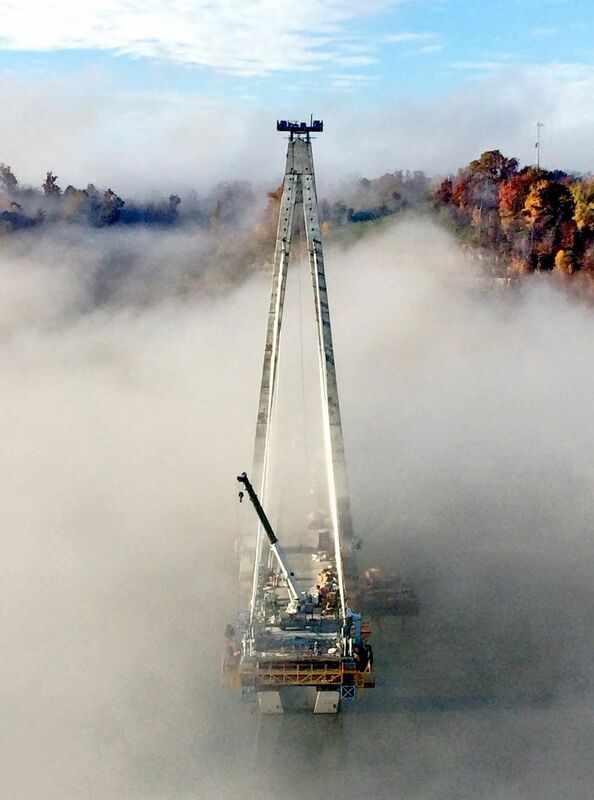 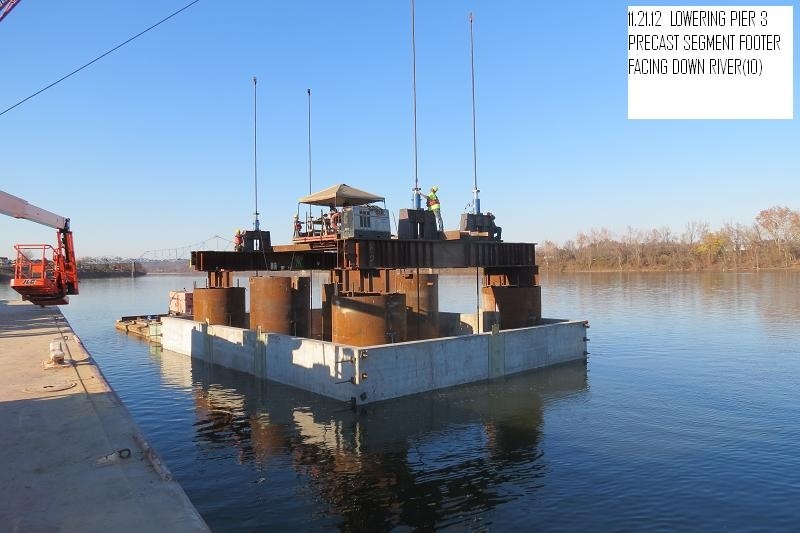 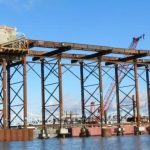 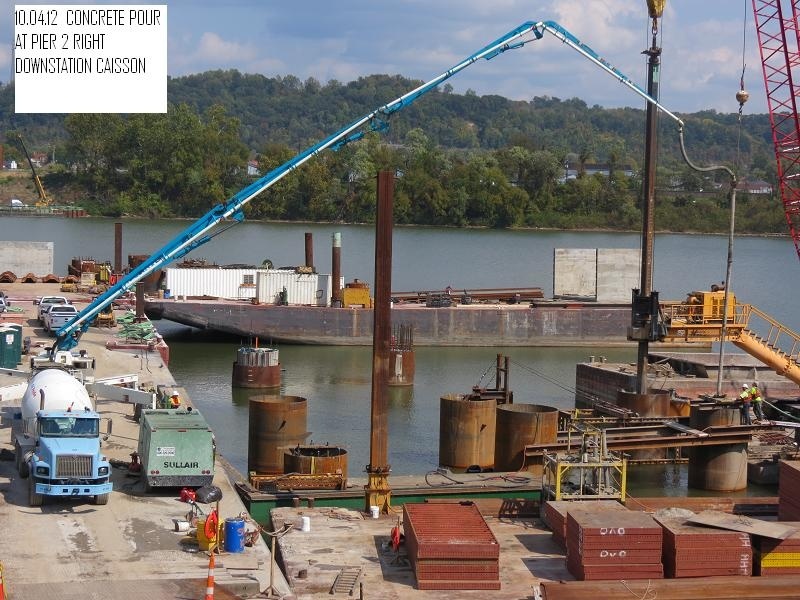 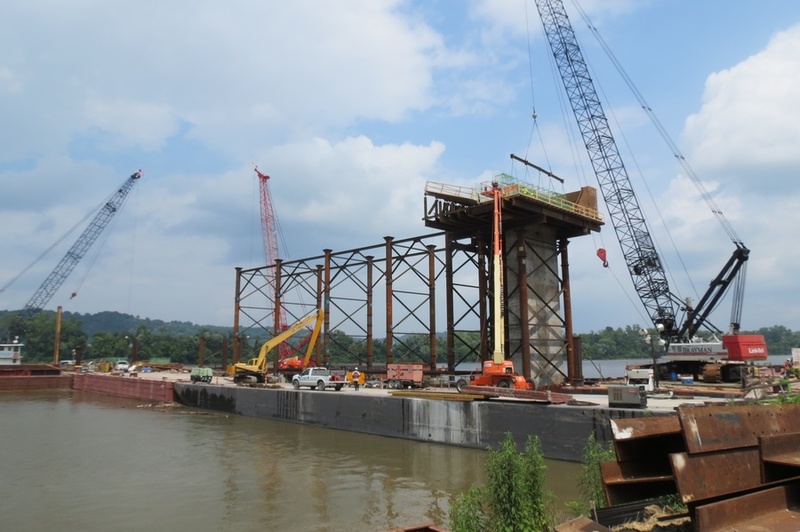 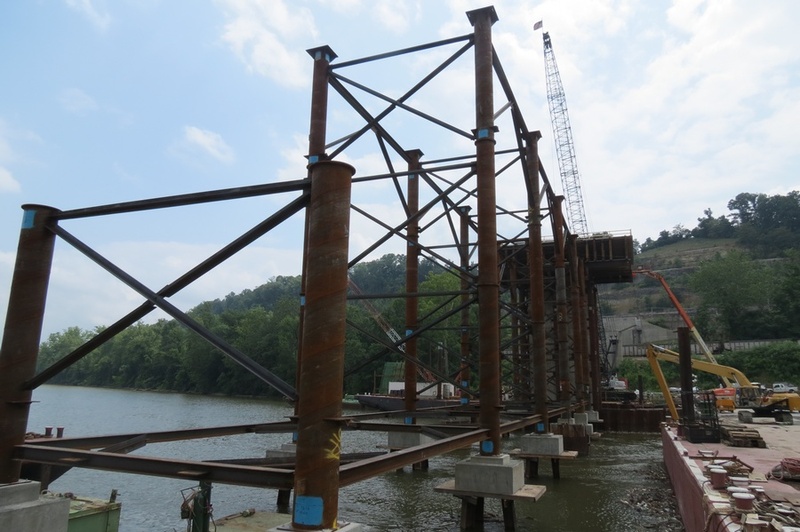 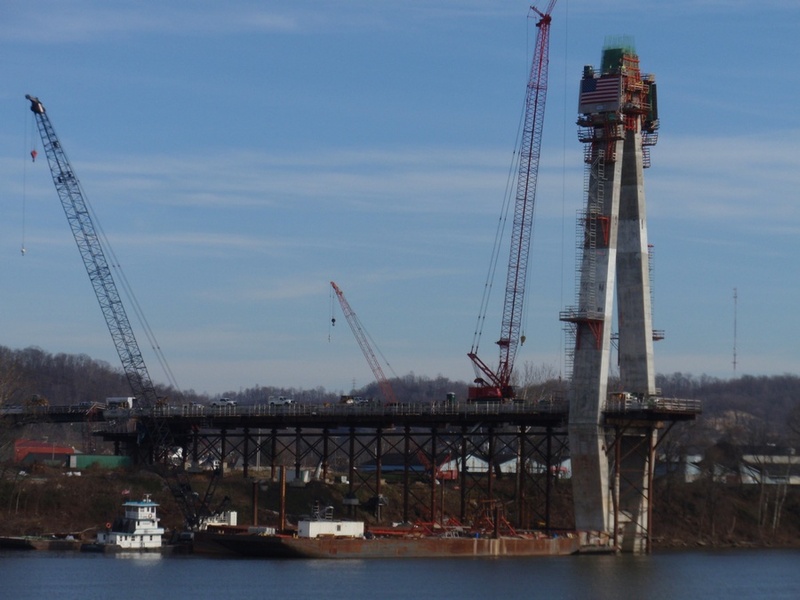 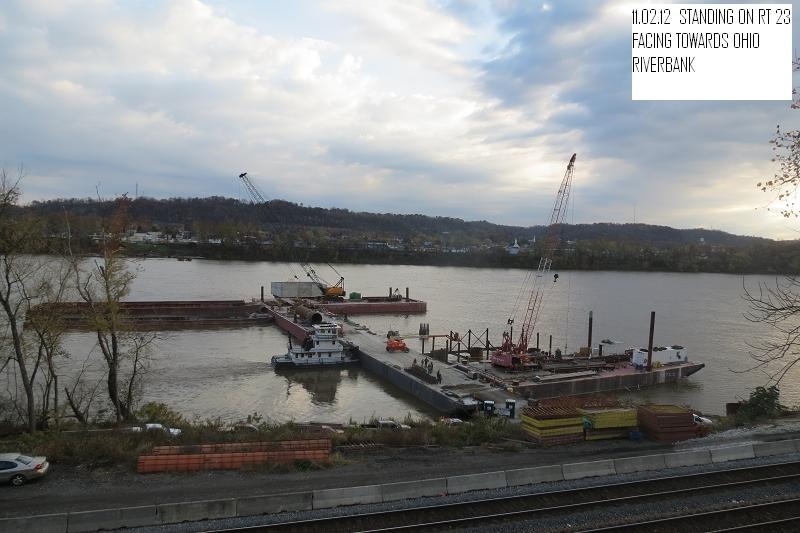 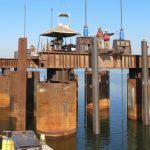 To minimize the requirements for marine operations and create a safer work environment, FINLEY incorporated the ability to support all construction equipment required for the pylons and deck into the falsework system. 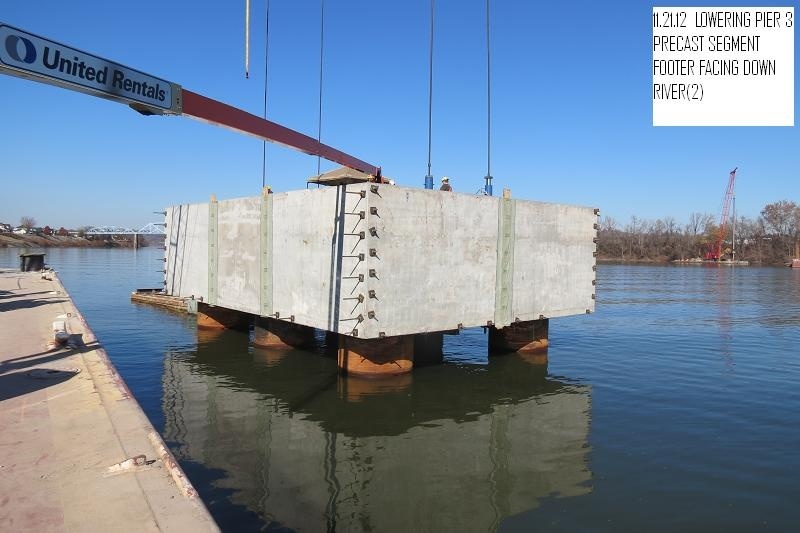 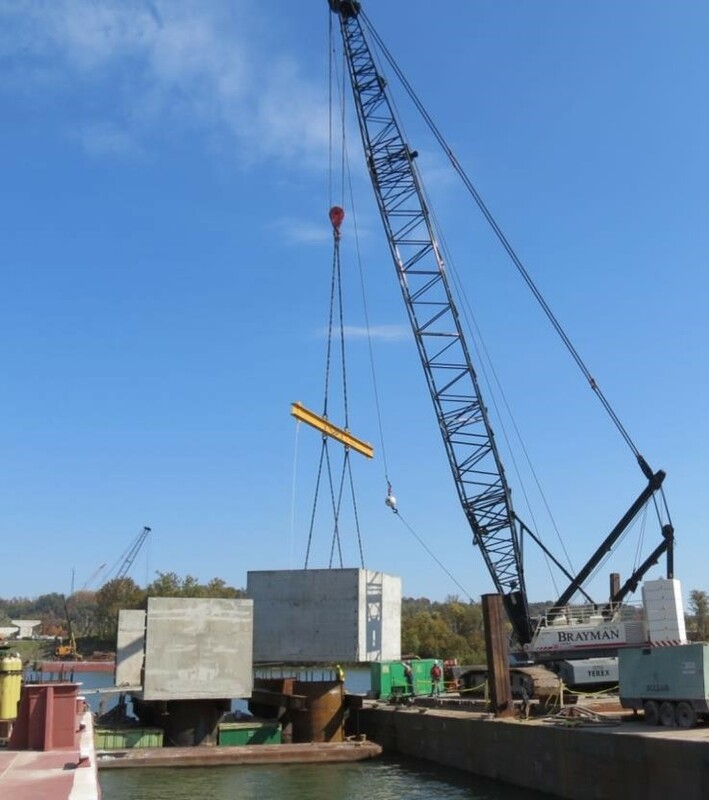 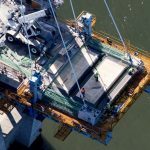 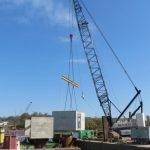 FINLEY’s innovative precast stay anchor block system design simplified stay cable anchorage placement, accelerated segment construction, and simplied the form traveler system by eliminating the need for a temporary stay anchorage. 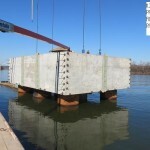 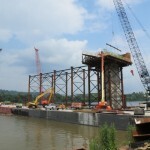 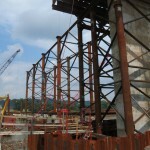 Other design optimizations included precast transverse beams and stay-in-place forms. 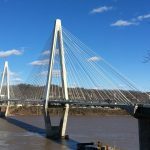 The design optimization and changes to the construction method resulted in a winning bid approximately 4% below the state’s final estimate of $84.6 million. 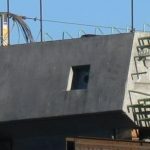 I would like to have some information about this beautiful design – set of plans would be appreciated.